With a focus on service, flexibility and value, at Burnside Eurocyl, we work hard at establishing a solid business relationship with OEMs all over Europe and North America. Our clients include household names like Volvo and JCB as well as industry stalwarts Wacker Neuson, the Wirtgen Group and many, many more. 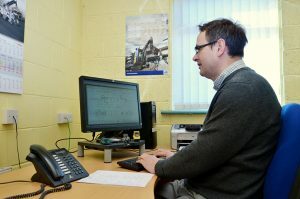 As an experienced manufacturer of hydraulic cylinders, we understand the need to maintain close contact with our clients, and we’ll ensure you get only the highest quality products delivered on time and within budget. 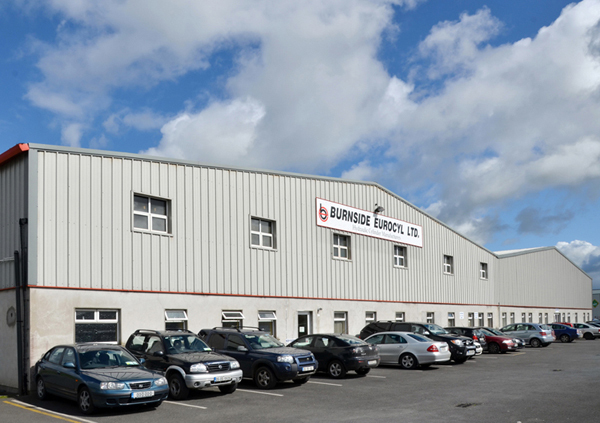 Burnside Eurocyl is a member of the Burnside group of companies which was founded by the four Byrne brothers in 1974. The group operates four cylinder production plants in the area employing a workforce of over 500 people. 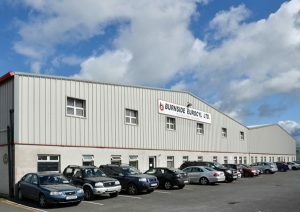 Burnside Eurocyl operates from a purpose-built facility in Carlow town in the south east of Ireland. 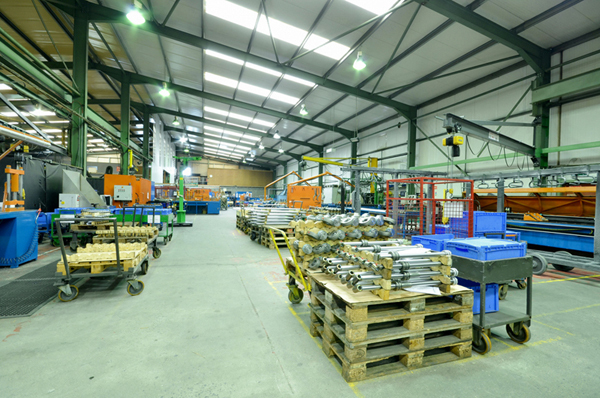 We employ in excess of 150 highly trained staff on a 20,000 m2 site. With customer focused production lines in operation, we produce over 4,000 cylinders per week and deliver to key customers in Mainland Europe in two days. We ship to the east coast of North America in one week. Operating on a Just-in-time basis, we export to countries right across Europe such as Germany, France, Austria, Holland, the UK & Scandinavia. We also export to the US & Canadian markets on a weekly basis. Whilst we focus on product customisation, we retain a standard range of cylinders & components in stock & welcome enquiries from all over the world. We guarantee reliability, attention-to-detail and on-time delivery. We value the role our staff play, and continue to invest in ongoing training and development. 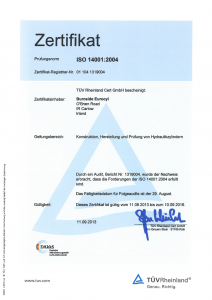 Research and Development of hydraulic cylinders is an on-going process and we excel in this area. 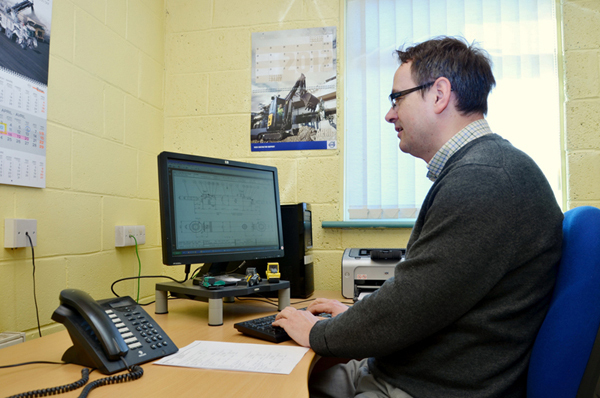 With almost 40 years’ experience in the manufacture of hydraulic cylinders and a committed and dedicated workforce, Burnside Eurocyl is a perfect partner for your hydraulic cylinder requirements. 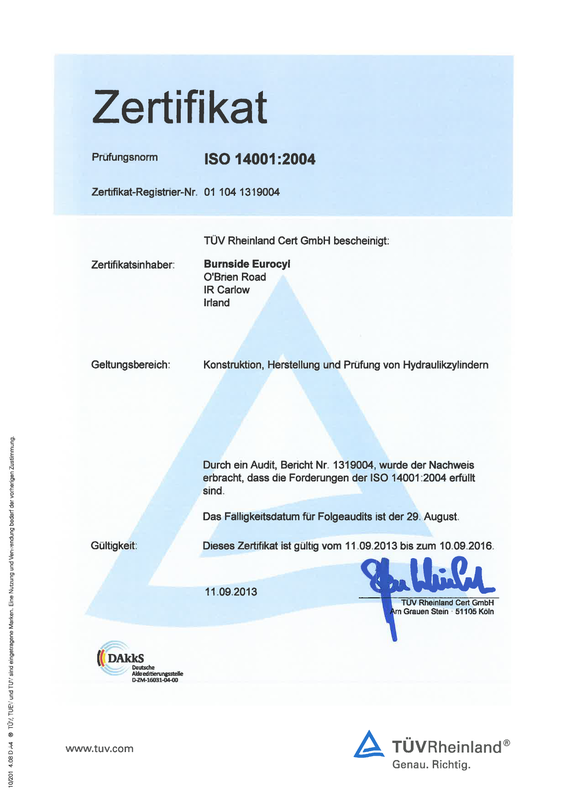 ISO 14001:2004 provides assurance to company management, employees and customers that environmental impact is being measured and improved.